Surprise, I Have 3 Eyes! by Jenine Lori is an enchanting story about Joey who would go out to play and come back home to speak about his journeys away. His friends had beautiful wings like the colors of May and some of them were fabulous creatures with big eyes and some had big warts. His friends were all different shapes and sizes and they would dance in parades, bounce, and fly. Though his friends had hidden places where they would stay, Joey always knew where to find them. He could always play with them, even when he was sick. None of his friends believed him and he could not understand why he was the only one who could see these creatures. The story introduces young readers to the concept of the third eye and how to look at things differently. It makes them more creative and imaginative and the rhyming verses are fun and lyrical to read. The illustrations are magical and they enhance the whimsical part of the story beautifully. The aesthetic presentation and the beautiful message make this book a must-read and a must-have at home and school. 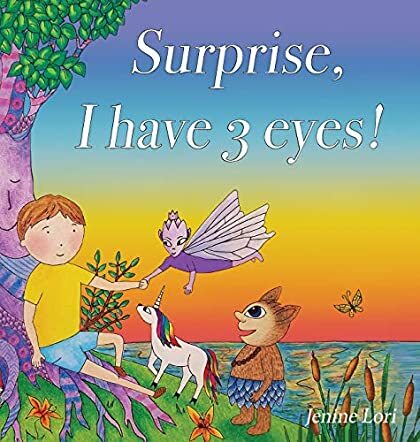 The story is about being different, imagination and acceptance, and this visual treat will help readers of all age groups understand the concept of the third eye and the way they perceive everything. The topic is unique and fresh and the author tackles it in a very creative way, making the subject fascinating to readers. The presentation is as magical and enthralling as the illustrations and words.